The Belgium Milk Sheep is strongly influenced by Friesian Milk Sheep. In all probability, the Belgium Milk Sheep descends from Flemish sheep. Since the 19th century, Flemish sheep were selected for milk character. After the Second World War, the other milk sheep breeds were added. 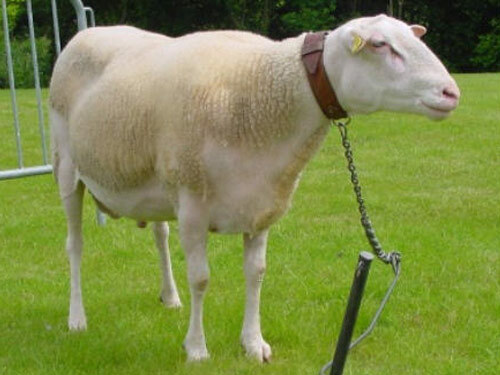 The Belgium Milk Sheep is a finely-built sheep which stands on high legs. The body is wedge-shaped. The head is covered with fine white hair. The abdomen is wooly, but slightly hairy. A typical characteristic of Belgium Milk Sheep is the so-called "rat-tail." The fertility of the breed is high. The udder is well-developed and the animals give much milk with a creamy taste.